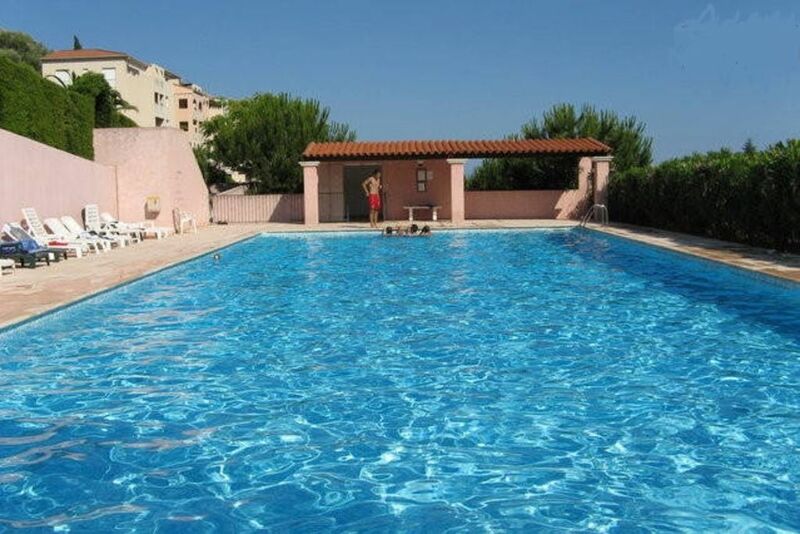 In very calm district residentiel, superb apartment ideally located and well directed. Beautiful sight sea. Very equipped and any comfort, clearly and comfortable, marble on the ground in the living room. 2 small terraces with exotic wood ground, teak table and chairs. Big swimming pool and interior car park. Ideally located. "This is definitely a perfect place to stay in Nice. The apartment is very nice, quiet, very clean and fully equipped with everything that you need: it is better than the description and in a few words it's like to be at your own home. The plus of this location is the swimming pool and convenient garage with parking your own parking spot. The owner is helpful and friendly. I would highly recommend this apartment for either a romantic break for couples or a family holiday"
"The apartment was perfect! Very comfortable, serene location, plenty of space for the two of us and our bikes, a nicely equipped kitchen, sweet view of the sea from the two decks and the kitchen window, plenty of ventilation, convenient garage with parking your own parking spot, close to grocery, and a short drive to the beach, airport or downtown Nice. Pool is very nice and uncrowded. Even a good selection of DVDs! The owner (and his family! )were wonderful - extremely friendly and accomodating. Couldn't have asked for a nicer stay in Nice - thank you!" "The apartment is very nice. Quiet, cool and lots of space. The pool is big and beautiful. It is absolutely nescesary to have a car,though, since town centre and beach are a few kms away. The owner is pleasent, helpful and friendly." appartement très agréable ou il fait bon passé des vacances. accueil chaleureux et disponibilités des propriétaires. A ne pas louper si vous aller sur Nice. Apartamento ubicado en una zona residencial tranquila. Dependes del coche para ir al centro de Niza, pero eso no es un problema, ya que el apartamento cuenta con una plaza privada de aparcamiento. El apartamento dispone de todo lo necesario, y las vistas son muy agradables. También tienes una piscina de buen tamaño a tu disposición. El propietario (Olivier) está atento a cualquier necesidad que puedas tener. tarif dégressif en fonction de la durée, caution demandée, acompte à la réservation, remise des clés par le propriétaire non présent sur place. le ménage doit être fait avant le départ sinon forfait de 50 euros. Du samedi au samedi de préférence.